Based out of Canada, Osburn wood stoves are manufactured by Stove Builder International Inc., also known as SBI. SBI is a family owned company that produces high quality residential heating products that are sold throughout the world. Although it all began in 1875 with F.X. Drolet Inc., a company that manufactured elevators and did foundry work, they began producing fireplaces and stoves in 1978 and later changed their name to Drolet Stoves and Fireplaces. 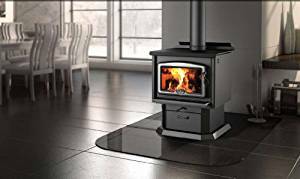 In 2003, the company changed their name to SBI and they have used their knowledge and innovative skills to produce wood stoves, pellet stoves, inserts and furnaces under multiple brand names such as Enerzone, Caddy, Valcourt, Drolet, Century Heating and Osburn wood stoves. Osburn now produces a wide variety of well built and efficient EPA certified wood stoves that are not only easy on the eyes, but easy on your pocket book as well. When choosing a wood stove it's important to pick a model that fits the square footage of your home. A stove that's too small won't be able to adequately heat your living space. A stove that's too big will roast you out of the room and you'll have to open windows in order to keep it relatively comfortable. Other considerations to take into effect are insulation, year and condition of your windows and the year your home was built. For example, a newer home will generally be more air tight and efficient than an older home that has drafts which lets the heat escape or lets the cold outside air in. To learn more, let's take a look at some of the most popular Osburn wood stoves to see which model is best for your home. Although it still has the features and latest technology of some of the larger stoves, the 900 is the smallest stove in Osburn's product line. Capable of producing up to 40,000 BTUs per hour, this EPA certified stove is rated for homes that have an area of 250-1000 square feet. One of the best features of this small stove is its firebox that can handle logs up to 17 inches long. However, the firebox is only 1.2 cubic feet meaning the total capacity is somewhat on the small size compared to larger stoves which can lead to more frequent reloads and decreases the ability of an overnight burn. With its sleek design and large viewing glass, the 900 is a good choice for smaller homes who want to supplement their heat with firewood or for those who enjoy the occasional fire to take the chill off. 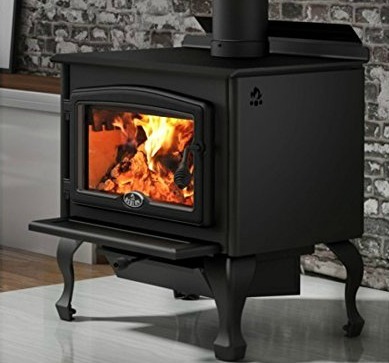 Available as a pedestal stove or with cast iron legs, the 1600 can produce up to 65,000 BTUs per hour and is ideal for homes that are between 500-1,800 square feet. This EPA certified stove is known for its efficiency and clean burning abilities. 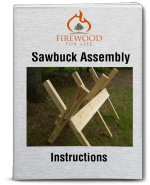 The 2.0 cubic foot firebox is larger than the 900 model and can also hold logs up to 17 inches in length. Since this is a medium sized stove, it's a little hard to get an overnight burn unless you're using a high quality firewood and you really load up the firebox. Just make sure you adjust the air control to achieve the proper burn without over firing the stove. This will help if you're looking for an overnight burn that will leave you with enough coals to restart the fire in the morning. Year after year the 2000 is one of Osburn's best selling stoves. Featuring a 2.4 cubic foot firebox the stove is not only beautiful to look at, it's also very efficient. The model 2000 can heat between 500-2,100 square feet, has an optional blower and has a maximum output of 75,000 BTUs per hour. The 2000 has a single large glass door for exceptional views of the fire. The model 2200 (which is a similar stove to the 2000) has a three piece glass door. One downfall to the three piece door of the 2200 is the increased amount of gaskets required around the glass which could wear around the door over time. The single glass on the model 2000 still allows for great views of your fire with reduced maintenance on the gaskets. 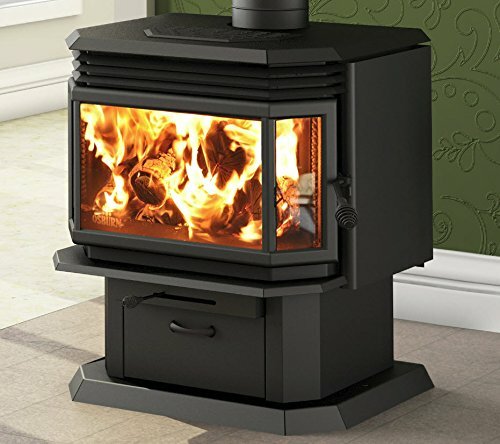 The Osburn 2000 wood stove is a great stove at an affordable price for most medium sized homes. The model 2200 is basically a newer version of the older 1800 model and it features a 20 percent larger bay window in the door to increase the viewing area of the fire. The 2200 also has a 20 percent larger firebox which helps increase burn times. 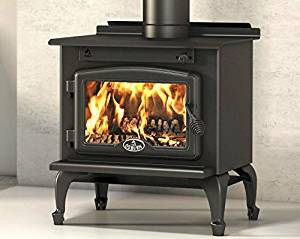 Capeable of heating 800 - 2,000 square feet, the 2200 wood stove can produce up to 70,000 BTUs per hour with its 2.3 cubic foot firebox and has a burn time of up to 8 hours on a single load of firewood. The 2200 is known as one of Osburn's best selling wood stoves with many happy customers, however most owners will agree the stove needs a good draft and very dry firewood to function at optimal levels. The stove is beautiful, however some common complaints are smoke coming out of the doors when loading firewood and the stove can be very temperamental for new users before you get the hang of using it. These issues are not specific to the Osburn 2200 wood stove though. Just like many high efficiency wood stoves, you need proper draft and seasoned firewood for best results. If you have both of these, you'll love the 2200.....it's a great stove. Osburn wood stoves are high quality, efficient wood stoves that are sure to meet all your heating requirements. As with any brand of wood stove, choose a model that's the right size for your home, burn quality seasoned firewood and ensure your stove has a good draft to help circulate smoke up and out of your home.